Certified clinical nutritionists, or CCNs, and registered dietitians, often called simply RDs, are two types of licensed professionals who deal with dietary intake. Although both deal with food, their emphasis is somewhat different, with some nutritionists putting more emphasis on alternative therapies such as homeopathic medicine and herbology. Both types of specialties require a college education and passing national examinations for credentialing. Not all people who call themselves nutritionists are certified or credentialed, but all those who use the term CCL have passed nationally administered exams. The registered dietitian certification requires a bachelor's degree from a school with a program accredited by the Commission on Accreditation for Dietetics Education. You must have at least a bachelor's degree to take the national examination given by the Commission on Dietetic Registration. At least 50 percent of all registered dietitians have advanced degrees, either a master's degree or a doctorate, according to the American Dietetic Association. Many RDs specialize in a specific area, such as pediatric or diabetic nutrition. Registered dietitians must maintain continuing education requirements to maintain their credentials. 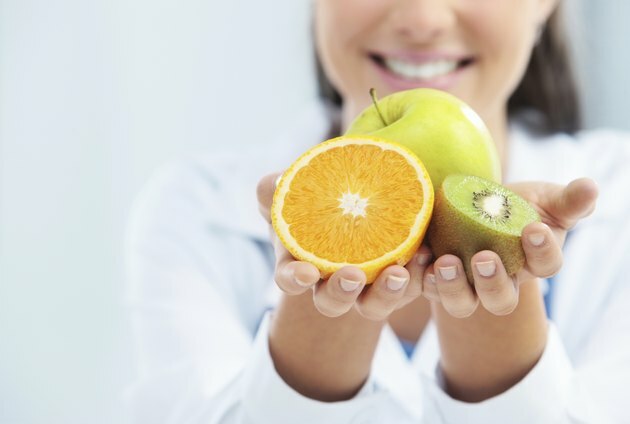 A number of different types of practitioners use the term "nutritionist" to describe their practice; certified clinical nutritionists must have at least a bachelor's degree with a minimum of 15 core hours in nutrition and 15 core hours in science. Similar-sounding but uncredentialed practitioners include certified nutritional consultants, who take an open-book test administered by the American Association of Nutritional Consultants, Stephen Barrett, M.D., of Quackwatch reports; a certified nutritionist title can be obtained after taking a six-course distance learning program administered by the American Health Science University. Certified clinical nutritionists were first licensed in 1991. Both registered dietitians and certified clinical nutritionists have a minimum of a bachelor's degree, must pass nationally administered exams to qualify as licensed personnel and must keep up with continuing education requirements to maintain licensure. Both groups serve an internship in addition to formal schooling. Registered dietitians and certified clinical nutritionists often practice in different areas. Registered dietitians often work in hospitals or other institutions such as schools, planning meals that meet the nutritional needs of the populations they serve. Other registered dietitians work in private clinics, government facilities or private industry. Certified clinical nutritionists, who also might work in private clinics or in corporate or academic settings, stress "biochemical individuality," a theory that originated with Dr. Roger Williams in the 1950s, Joan Friedrich, Ph.D., of the American Association of Clinical Nutritionists reports on NBC New York. Biochemical individuality assesses the effects of nutrition on an individual's optimal functioning. A CCN may use supplements, often called nutraceuticals, extensively as well as therapeutic interventions such as detoxification. American Dietetic Association; What Are the Qualifications of a Registered Dietitian? Quackwatch; Where To Get Professional Nutrition Advice; Stephen Barrett, M.D.